Good afternoon! The rest of the day is going to be sunny and mild. 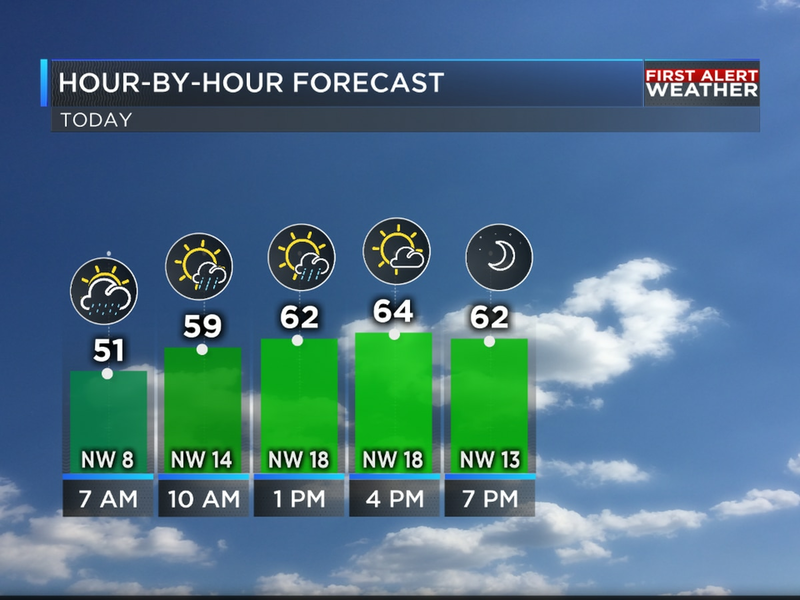 Temperatures will climb into the low to mid 60s this afternoon. Expect a south breeze at 5-15 mph. Clouds will start to stream back in this evening and overnight. However, rain is not expected. Temperatures will drop through the 50s this evening before bottoming out in the mid to upper 40s tonight. Overall, Valentine's Day is going to be a lovely day. Highs will be near or just above 70 degrees. Even though it's far from likely, a few sprinkles or light rain showers can't be ruled out. Most will have to deal will more clouds than sun and rain, though. Thursday will also be windy. Expect a south wind at 10-20 mph. Wind gusts could be over 30 mph. Friday will be another warm and mostly cloudy day. Highs on Friday will be near or just below 70 degrees. A cold front will drop south across the area late Friday into Saturday. This front won’t be a huge rain maker for the ArkLaTex. However, a few showers will be possible on Saturday. Slight rain chances will linger into Sunday as well. This front will have a much bigger impact on our temperatures than our rain chances, though. Highs on Saturday will be in the low to mid 60s, while highs on Sunday will only be in the mid to upper 50s. The start of next week looks wet and cold. Moisture will overrun the cold air, so the potential of a widespread cold rain Monday into Tuesday is increasing. Afternoon highs on Monday and Tuesday will only be in the 40s.